Farm equipment relies on good tires to get the job done right. When it's time to shop for AG tires that have a long tread life and improve the performance of your farm tractor and other agricultural equipment, contact Bud's Tire Pros. We know your day is busy, and we value your time. We make it easy to get the replacement tires you need in little time. Our inventory includes leading tire brands at cost-effective prices. We serve the farming communities of Riverside, CA, Moreno Valley, CA, Corona, CA, and surrounding areas. Find your nearest farm tire dealer to get started. The farm tires in our selection are designed for high-horsepower farm equipment. Our farm tires feature added traction, reduced soil compaction, and improved load carrying capabilities. All AG tires in our inventory are composed of a heavy duty rubber compound for long lasting tread life. What are your specific agricultural applications? Every farm tire offers unique advantages. 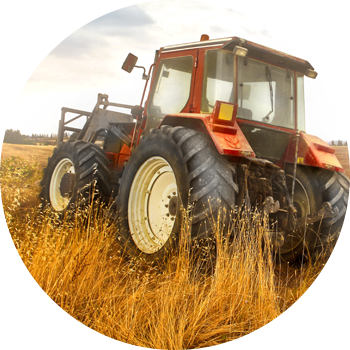 Our farm tire inventory includes options for most agricultural equipment. We have radial and bias farm tires available and pride ourselves on getting you the new tires you need in short time. Our AG tire prices are always competitive, and our wide selection makes it easy to get a replacement tire that's optimal for your farming needs. Our farm tires are suited for tough conditions. Whether your work involves traveling through wet fields and muddy conditions or over rocky gravel, we have tires built for the task. Contact us to learn more about our selection of farm tires.